Shrushi Polymers Pvt Ltd are supplier & Manufacturer of Insulation Board. Our product range also comprises of Thermocol Products, Thermocol Boxes and Thermal Insulation Materials. 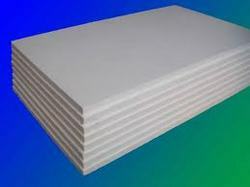 Insulation Board is a rigid foam board extruded from polystyrene, having closed cell structure. it is globally acknowledged to be one of the best value-for-money thermal insulation option. Looking for Insulation Board ?